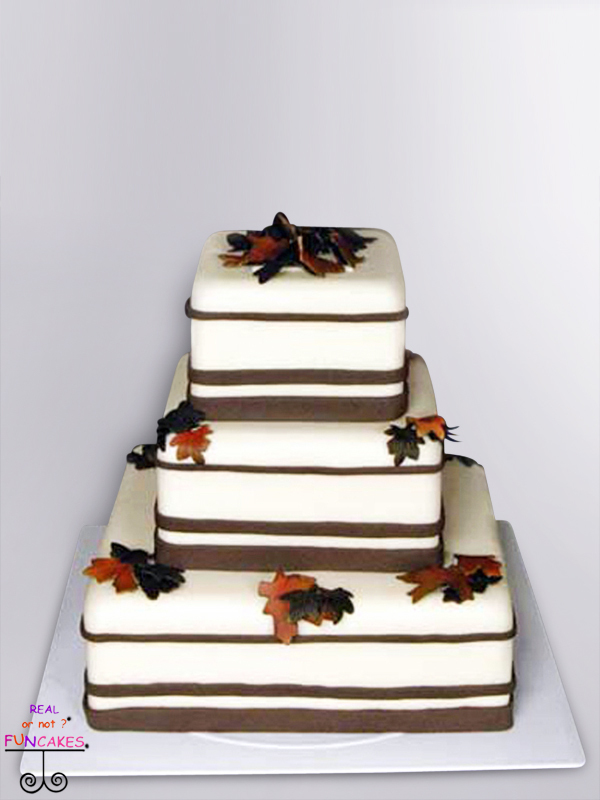 Our Autumn Leaves has three beautiful layers of real fondant, colored in a light cream, taken straight from the Bridal magazine, perfect for a fall wedding. Each tier is with classic brown stripes and hand made sugar leaves, dusted in fall colors, resting on the tiers. 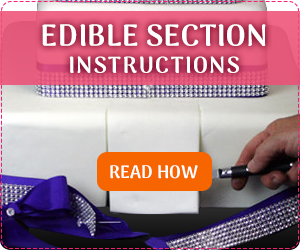 All our cakes have a section where real cake can be placed for the cutting ceremony. 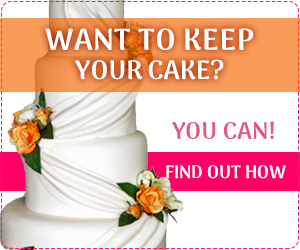 The section is a 4″ area on the bottom tier, in the back, hidden under the fondant. A large bow hides the area and let’s you know where to cut. Five minutes, three Twinkies®and a can of frosting is all you’ll need to create the edible section. 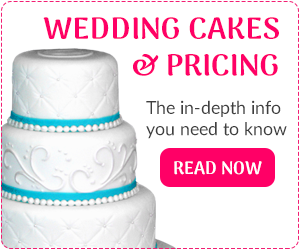 Instructions are included with your cake. Even though your cake is fake, you want it to look like it will feed your wedding guests.If this cake were real, it would feed 125 guests. We are charging $1.55 a slice for this beautiful and perfect fake cake, with free shipping.